Google may be planning to cap off the new wave of Chromebooks with its own laptop that includes a touchscreen, according to one report. The story in China Times, spotted by TechCrunch, claims that Google has already ordered the touchscreen netbooks from Compal, a Taiwan-based manufacturer. In the past, Chromebook vendors such as Samsung and Acer have placed the manufacturing orders, but this time, Google ordered the devices itself, leading to speculation that the next Chromebook will be purely Google-branded. 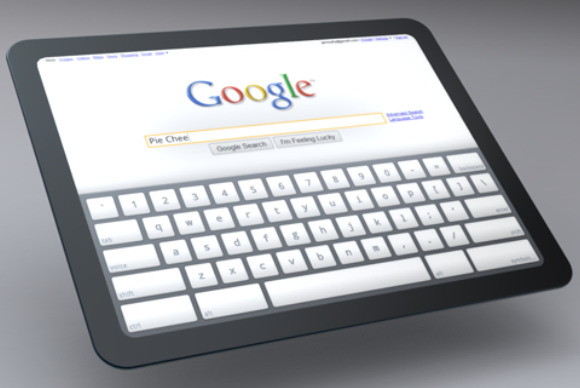 It's not crazy to think that Google would release a touchscreen Chromebook. The development site for Chromium has posted tablet interface mockups in the past, and in April 2011, Google confirmed that it was working on a tablet version of its browser-based operating system, though the company didn't say whether any products would come of it. Meanwhile, the touchscreen craze has taken over, with the rising popularity of Apple's iPad and the launch of touch-centric Windows 8. Although Google first thought Chromebooks would compete with traditional laptops, they now seem like closer competitors to inexpensive tablets—casual computing devices for use around the house or on the road. Adding a touchscreen could boost the Chromebook's appeal. What I'd really like to see, however, is a tablet or hybrid device that runs the full, desktop version of Chrome, as opposed to the mobile-minded Android version. With Samsung's $250 Chromebook, Google's Chrome OS is now up and running on ARM-based processor, the same type found in most phones and tablets. A Chrome OS tablet-laptop hybrid wouldn't be a huge leap, and it'd be welcome for those times when you need to juggle lots of windows and tabs, and a mobile browser just won't suffice. The China Times report says the touchscreen Chromebook will launch by the end of the year, which seems like a stretch even if the rest of the report pans out. The device would steal the thunder of Samsung and Acer, and in any case, there isn't much time left before the year is over. Still, the idea of a touchscreen Chromebook seems like a matter of when, rather than if.